Grace N. Newton of Hendersonville, TN was born to the late Carl and Minnie Noren on September 5, 1923 in Hartford, CT, and passed away on December 18, 2013. She graduated from Simmons College in Boston in 1945, and subsequently worked in their admissions office before she married the love of her life Richard Y. Newton in 1947. Grace and Richard moved to the Schenectady, NY area, where Richard was an engineer at General Electric and raised 4 children before moving to Hendersonville, TN in 1969. She worked at the Hendersonville Library, both on staff and as a volunteer, maintaining the “Oldies but Goodies” shelf for 20 years. She was a member of 3 different book clubs and enjoyed playing Bridge and Manipulation. She also served on the board of the Hickory Bay Condominiums, and organized many of their coffees and social activities. 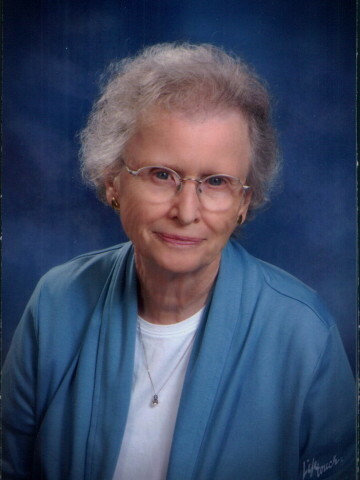 Mrs. Newton was a dedicated member of the Hendersonville First Presbyterian Church. Grace loved gardening, cooking, and travelling the world, but her greatest joy was spending time with her children, grandchildren, and great-grandchildren. This past summer she celebrated her 90th birthday in the Smoky Mountains where she hiked along with the whole family. Grace was very active even in her last days, and she will be greatly missed by all who knew and loved her. She is preceded in death by her husband, Richard Newton, and sister, Phyllis. She is survived by sons Jeffrey (Virginia) of Burnt Hills, NY, Stephen (Yuko) of Hamburg, NJ, David (Anna) of St. Paul, MN, and daughter, Kathryn Rowley (Phillip) of Conway, AR, as well as 8 grandchildren, and 3 great- granddaughters. In lieu of flowers, Grace preferred for donations to be made to the Hendersonville Library or to the Hendersonville First Presbyterian Church. A celebration of life ceremony will be conducted on Monday, December 23, 2013 at Hendersonville First Presbyterian Church (172 W. Main Street) at 10am. A visitation will be held on Sunday, December 22, 2013 from 2 until 5pm at Hendersonville Funeral Home. The family will have a private interment in Hendersonville Memory Gardens. My deepest symphony on the loss of your mother, Grandmother, and great-grandmother. I shared stories of her through Kathryn and know she was an active, intelligent, and much loved woman. I’m sure your shared memories and stories will bring you joy and comfort in the years to come. You all are her greatest legacy.